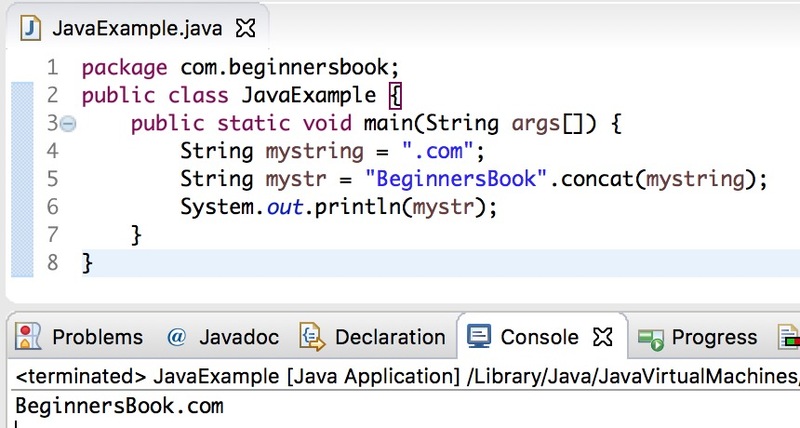 Java string concat() method concatenates multiple strings. This method appends the specified string at the end of the given string and returns the combined string. We can use concat() method to join more than one strings. The value of s1 would be BeginnersBook.com after the execution of above statement. In this example we will see two ways of doing String concatenation using concat() method. As we have seen above that concat() method appends the string at the end of the current string. However we can do a workaround to append the specified string at beginning of the given string.